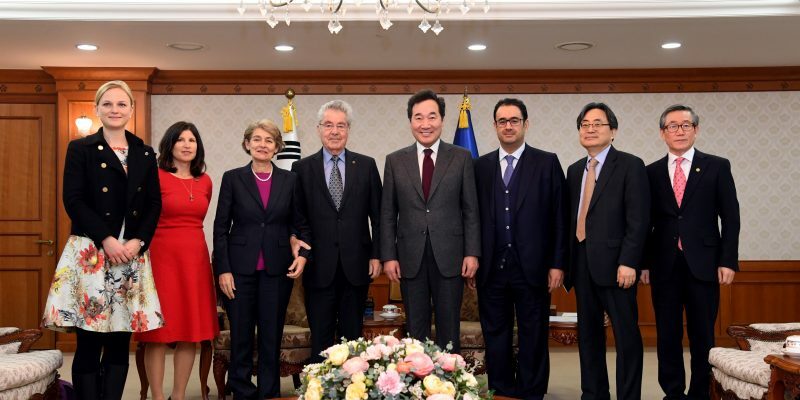 Upon their visit to Seoul, South Korea to participate in the Global Engagement & Empowerment Forum (GEEF) 2019, some of the Board members of the Centre were welcomed by South Korean Prime Minister Lee Nak-yeon on February 15th, 2019. Prime Minister Lee has also welcomed the BKMC Board last year on the occasion of the Centre’s first Board meeting held on the margins of the Pyeongchang Winter Olympics. During the meeting this time, Prime Minister Lee and Ambassador Choo Jong-youn, who is Diplomatic Advisor to the Prime Minister, were informed of the Centre’s implemented projects with the fund received from the Korea Foundation at the end of last year. 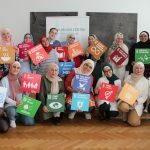 Including the GEEF 2019 that took place on February 14-15th, the Centre exchanged its successful ongoing and upcoming projects in close partnership with its partners in Korea. BKMC Co-chair Heinz Fischer, who is former President of the Republic of Austria, and Prime Minister Lee also discussed the peace process in Korea, including denuclearization in the Korean peninsula. 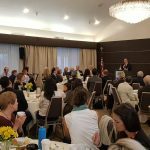 Other BKMC Board members who were present at the meeting were Ambassador Sadiq Marafi of the Kuwaiti Embassy in Vienna, Ambassador Shin Dong-ik of the Korean Embassy in Vienna, Dr. Irina Bokova who is former Director General of UNESCO, Dr. Márcia Balisciano who serves as Director of Corporate Responsibility of RELX Group, and Monika Froehler, CEO of the Centre. 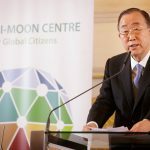 The Ban Ki-moon Centre for Global Citizens looks forward to further strengthening its close relationship with Korea throughout pursuing the upcoming cooperative projects with its partner organizations in Korea. 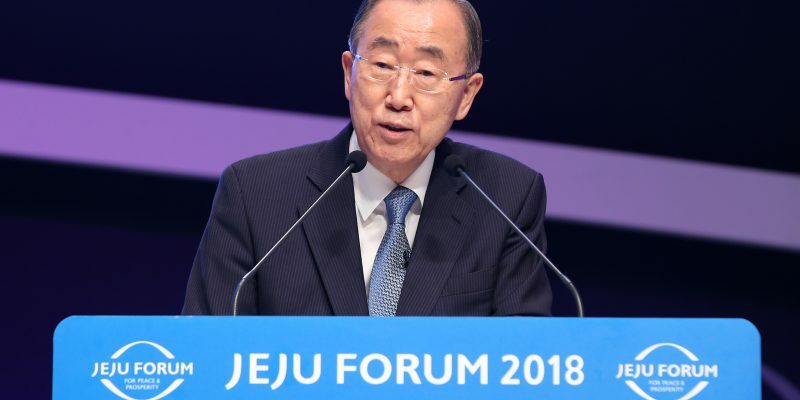 Ban Ki-moon participated as a panelist and a keynote speaker in the Jeju Forum for Peace and Prosperity held in Jeju, Korea on June 26-28, 2018. The forum was hosted by the Government of Jeju Special Self-Governing Province with support of the Ministry of Foreign Affairs of the Republic of Korea. The Jeju Forum is a regional multilateral dialogue where high-ranking public officials, experts, and world leaders gather to discuss and share future visions on how to approach sustainable peace and prosperity in Asia. 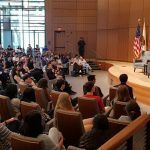 For this year, “Reengineering Peace for Asia” was the theme for this 3-day forum as Asia has been facing an increasing array of security problems and challenges for the recent years. At the Opening ceremony and World Leaders Session, Ban urged reinforcement of global citizenship, collaborative wisdom and cooperation between countries, and peaceful and harmonious way of denuclearization in North Korea. He also emphasized that there should be no more failure or repetition of the mistakes from the past. 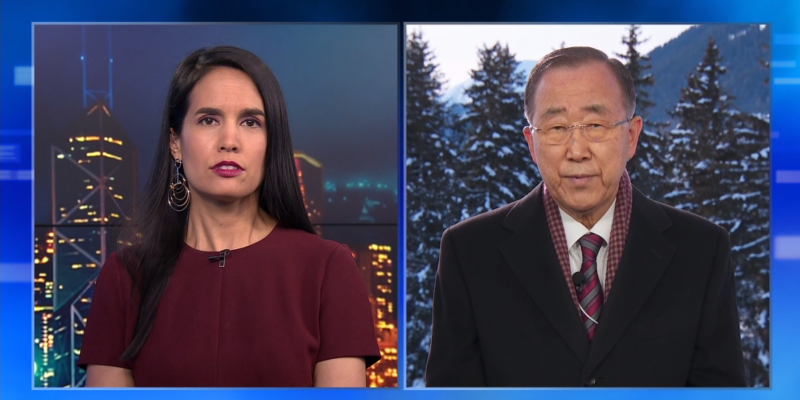 Regarding North Korea’s sudden cancellation of the high-level talks today, Ban Ki-moon showed his concerns and mentioned North Korea’s nonfulfillment of the previous agreements between two Koreas. 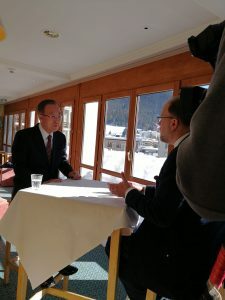 An interview with Ban was conducted by the CNBC. 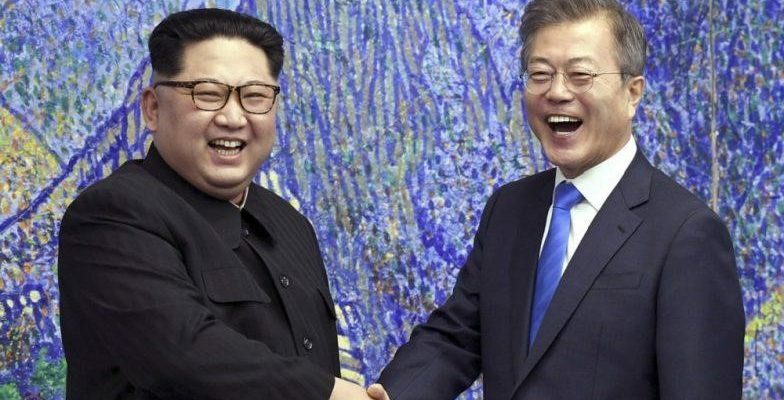 Although the entire peace process may not be complete by one Summit meeting, Ban sees that it could be possible through mutual efforts of the countries involved and with the great support from the international community.